Citywide is the first in a series of events to embrace the cross pollination of our diverse music scenes & genres in Atlanta. The idea is simple. Put a group of djs in a space that wouldn't normally play together and allow them to focus on playing music that they love. 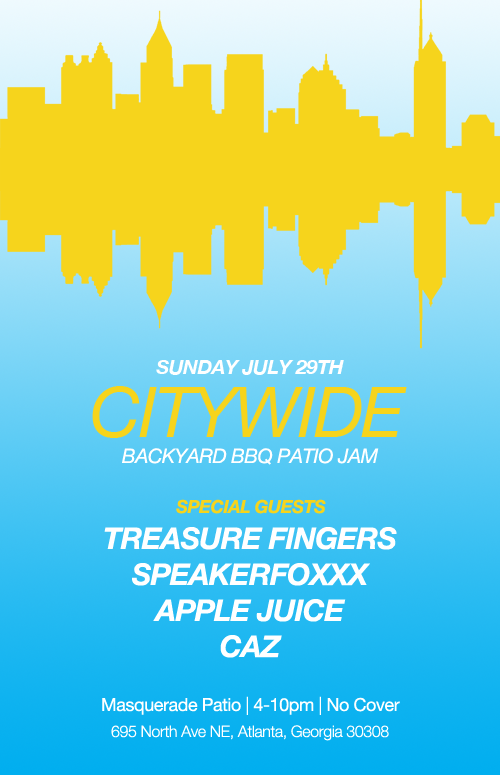 Citywide takes place at The Masquerade outdoor patio (directly outside of Purgatory). In true backyard bbq fashion, we'll be grilling hotdogs & burgers all afternoon. Music brought to you in Turbosound..